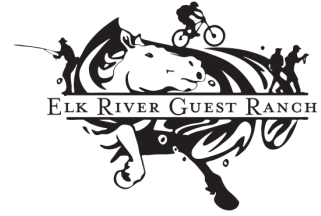 The Elk River Guest Ranch is located in North Routt County about 35 minutes from downtown Steamboat Springs. Known as the "Clarktic Circle" by locals, this is the premier location for winter wonderland activities. At the ranch, we offer cozy cabins, warm hospitality and snowshoe rentals. Plus, we are in a great place to be a base camp for everything else. From sleigh rides and snowshoeing to dog sledding and snowmobiling, our area gives you the opportunity to make the most of your winter vacation. The Elk River Guest Ranch cabins are not pet-friendly. We offer snowshoe rentals on property, and there are scores of other activities nearby whether you bring your own gear or need to rent equipment. Our modern cabins have views of mountain sides and horses' snowy backs. All have plenty of coffee ready to warm you up, and the roads stay plowed. The Steamboat and Clark areas have everything you could possibly imagine available at your fingertips. We do not serve meals during the winter months leading many guests to wonder where they should eat. And, there are plenty of options! Each cabin at the Elk River Guest Ranch offers a small kitchen complete with cookware, dishware, utensils, oven, stove, refrigerator, kitchen sink, etc. So, if you enjoy cooking or want an option for a quick meal, it's great to bring up a few groceries from Steamboat Springs. If you're the type that despises anything that resembles cooking on your vacation, don't fret! Clark is home to a few restaurants and bars (Clark Store Deli, Hahn's Peak Roadhouse, Hahn's Peak Cafe, and Glen Eden Restaurant) that are just a few miles away, and Steamboat Springs offers a huge array of dining options. Click here for a few of Steamboat's Top Selections.